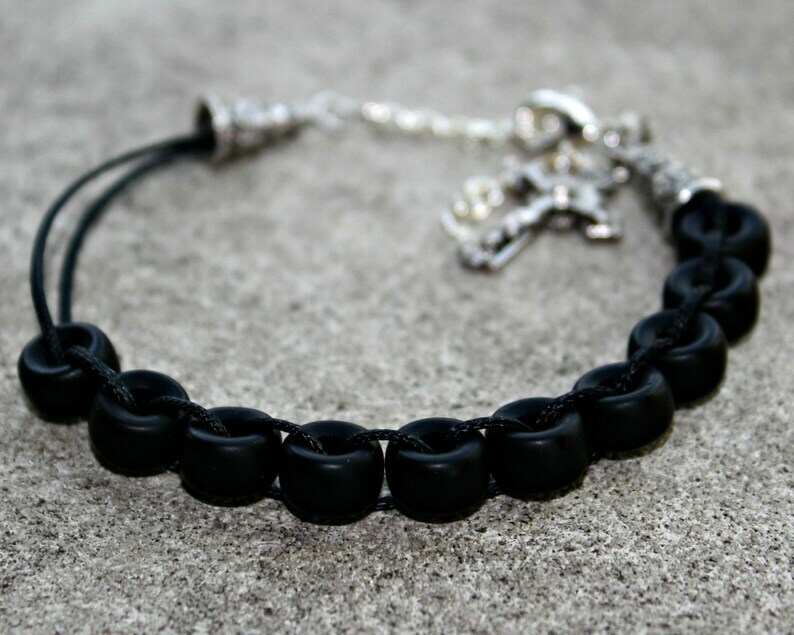 9mm Flat black glass beads are woven onto a heavyweight black cord, allowing the beads to be rolled from one side of your wrist to the other as a means of counting your deliberate mindful choices to do good deeds for others or positive thoughts. Bracelet is fully adjustable from a size 6" wrist up to a size 8.5" wrist, making them perfect for a child or an adult. The meaning behind this style: When you walk by faith your trust is strengthened. Although there may be times you feel as though God left you all alone, continue to walk with full confidence and trust that all challenges will lead you closer to Him. Even the difficult situation are part of the plan. Flex your Faith Muscles!